The good news about that is that the FAA has streamlined the process and has granted an extensive number of exemptions to the restrictions of Rule 107. The bad news is that almost all of them are exemptions for the “daylight only” restriction and not the BVLOS (beyond visual line of sight) restriction. We’ve talked about how important BVLOS is for many applications, so I won’t rehash that. Suffice it to say that I hope the next year brings a course correction in BVLOS exemptions. However, exemptions from daylight-only flight restrictions are useful for several reasons. One is that it allows UAS operators to overcome another restriction: flying over people. Non-operational personnel are simply not present at night in many instances. Night operations are useful for thermal inspections, as well. Temperature differentials are more pronounced at night. On a more local note, I have reviewed Pangaea’s 2016 issues to see what subjects garnered the highest interest. Not surprisingly, advances in new technology were big winners; it is, after all, the prime directive of this newsletter. 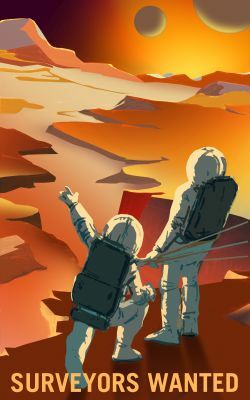 Interestingly, so were new applications for emerging technologies, including non-traditional subjects like surveying Mars as well as Earth-bound archaeology and treasure hunting projects. I’ll continue to provide content along these lines next year, and, indeed, the cover story of xyHt’s February issue will be about surveying on Mars. Starting off next year, I’ll give you my thoughts on what I believe to be the biggest market for geospatial professionals for the new year. Stand by for the January 10, 2017 issue for the reveal!